Ideally we would all meet the government guidelines for weekly exercise. If everyone who was able to do it actually did so, obesity rates would drop dramatically and we would all be a lot healthier. With the strain on our health service, we all need to do our best to look after ourselves. The trouble is that with busy lives trips to the gym simply don’t happen as often as we would like. If a formal workout isn’t happening for you, then there is something that you can do to make a serious difference to your health. That something is cardiovascular exercise. WHAT IS THE DEFINITION OF CARDIO? Anything that gets your pulse rate up and makes you breathe harder is giving your heart and lungs a workout. Depending on how fit you are, that can be anything from walking up a hill to running a distance. Swimming, cycling, vigorous vacuum cleaning – it all counts as cardio! 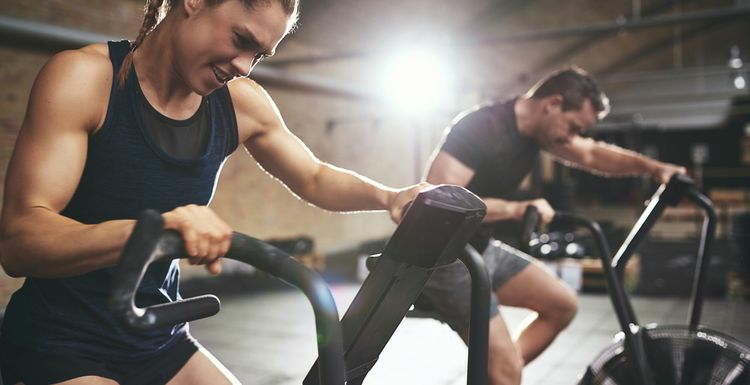 HOW DOES CARDIO IMPROVE BODY HEALTH? The main benefit is the workout for that all important muscle, the heart itself. Like all muscles, an exercised heart will be stronger and fitter. The energy demands of cardiovascular exercise are a great way to keep weight under control by burning up fat stores. The movement gets your digestion going. The workout itself will strengthen your muscles and keep your joints mobile. A long term study over an amazing 44 years has shown that keeping fit in middle age reduces the likelihood of dementia. With so many of us living longer and more people developing this terrible illness, anything that can stop or delay it is very welcome. Regular exercise also has positive effects on mood, which is particularly important for those suffering from depression. Exercise has none of the possible side effects of medication. Whatever your personal ‘dose’, some cardio is bound to do you good. So if you do nothing else for your body – get it sweaty and breathless with some cardio! vigorous vacuum cleaning? Love it! An incentive to actually do some of that, domestic slob that I am. Although I think that a little more effort than that will be required, it's a start.